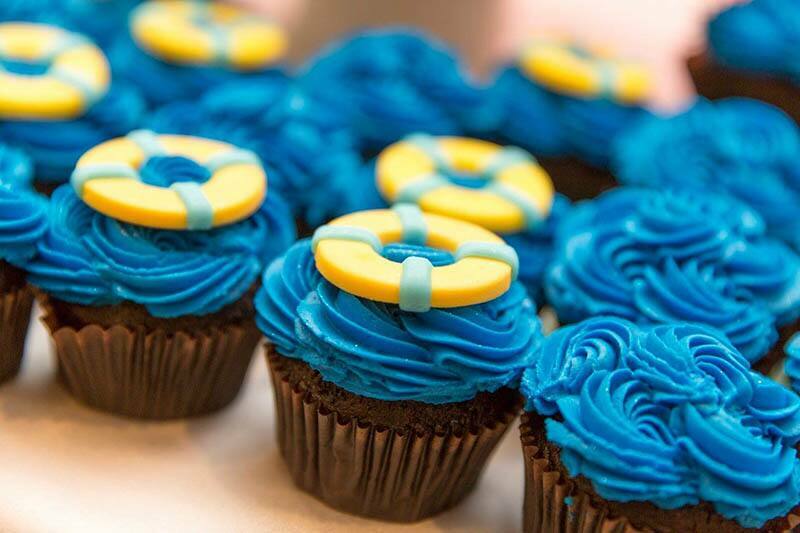 Grab your swim trunks because we are diving into today's Wedding Cake Wednesday! 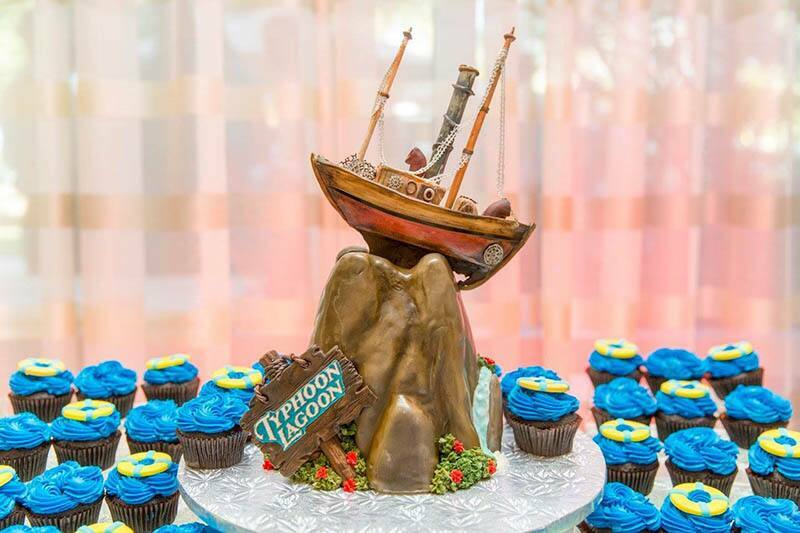 This Disney couple designed their wedding cake after the place where they first met - Disney's Typhoon Lagoon Water Park. Kate and Casey were out enjoying the wave pool and slides with mutual friends and instantly hit it off. It wasn't until the next day that they discovered they were both Cast Members at the water park and would be working together! 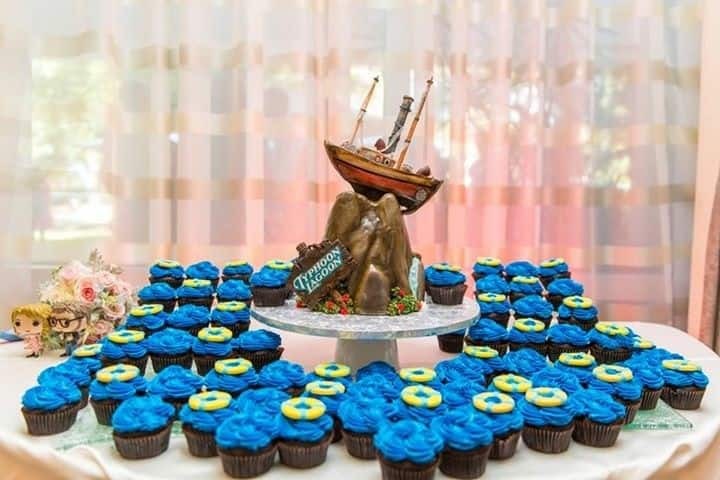 When it came time to pick the cake for their Disneyland wedding, it just felt right to pay tribute to the place where it all began.